At Vega Solutions we have many years’ experience developing secure web portals for our customers in the financial services industry. Our Sirius Wealth Management Portal App includes all the features your clients need to manage their day to day interactions with you. From viewing their asset values and trust documents, to making payment requests and sending/receiving secure messages – with our software, this all happens in one place – reducing the burden of extra admin, and strengthening your relationship with clients, suppliers and partners alike. 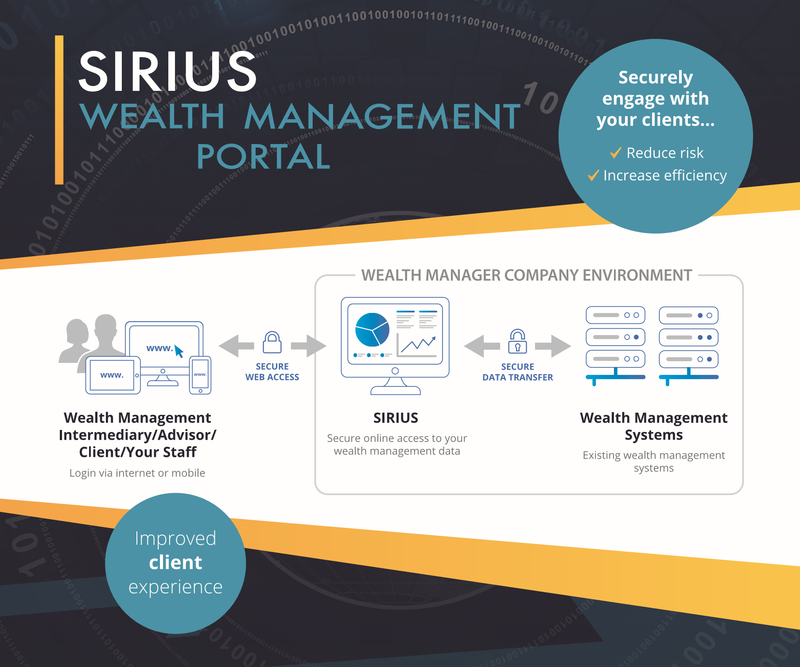 The Sirius Wealth Management Portal App is our latest product and we would welcome the opportunity to talk about how it could transform your client and third party corporate service experience. The Sirius Wealth Management Portal is configurable through use of parameters which you can easily modify. Parameters and Themes can be set at a Global, Application, Organisation or User level, with the entire look and feel being able to be updated. This means your users may see the same site, but with their own look and feel. All functions within the Sirius Wealth Management Portal App are handled through the HTML interface – so it can be used by a client with practically any browser with no configuration or installation needed on that client’s machine. Each user may have either, a password and or 2 factor authentication to log on, or be associated with a domain log on. Once logged on they have their own view of their data held in your Wealth Management system. Your portal may be installed either on-premise or hosted in a GDPR compliant cloud environment. The Sirius Wealth Management Portal App has various licence options based on your requirements.